A pioneering hallmark for bronze sculpture, ‘Bronzechain’, launches today by DACS, in partnership with Verisart, theblockchain certification platform for the arts. 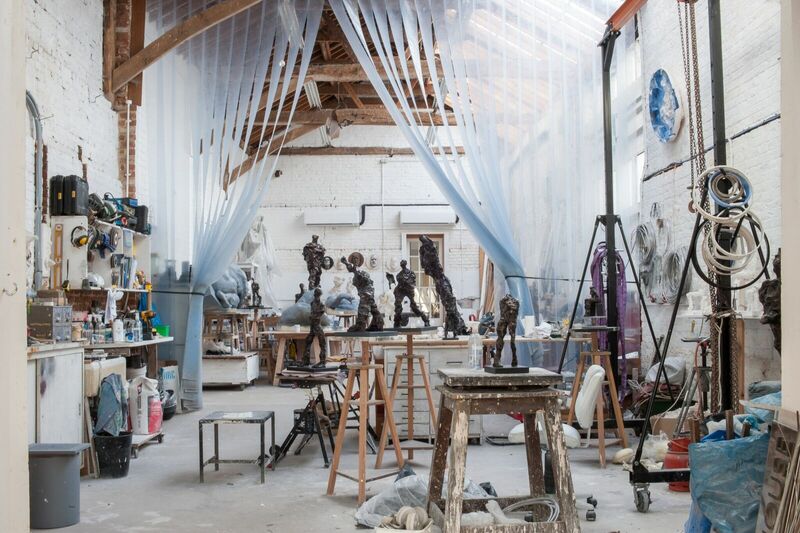 The first bronze works to be hallmarked are by sculptor Maurice Blik, whose solo exhibition takes place at Bowman Sculpture, London (13 April – 4 May 2018). As a revolutionary step for the art world, collectors and bronze foundries, Bronzechain combines the use of a hallmark stamp with innovative blockchain technology, by creating a digital certificate registered by the artist and foundry to validate the authenticity of the artwork in perpetuity. Whilst gold and silver hallmarks have been utilised for hundreds of years (the former of which was first proposed in the 1300s), Bronzechain is unprecedented, and forges a radical convergence of old and new technologies. To address the increasing number of bronze sculpture forgeries and fakes in circulation, which damages collectors’ confidence and the reputation and skill of the trade, Maurice Blik proposed a bronze hallmark to DACS, seeking their support. Set up by artists, for artists, and as a leading not-for-profit organisation with 30 years’ experience in protecting artists’ rights and creating innovative services that enhance artists’ ability to sustain their practices, DACS is excited to develop and introduce this solution called Bronzechain. The Bronzechain stamp will be licensed by DACS to approved bronze art foundries. Each bronze produced will be stamped with the Bronzechain hallmark in the wax before casting. A digital certificate of authenticity will be recorded by the DACS copyright licensing service and certified on Verisart. The digital certificate of each work will then be generated and certified by Verisart, the world’s leading platform to certify and verify artworks and collectibles on the blockchain. By storing and securing data using cryptography, the blockchain certificate reinforces the physical hallmark by recording technical data specific to each artwork including dimensions, location of hallmark and edition number. As a result, the handling of bronzes will be significantly more secure and transparent. Bronzechain can have further applications by ensuring bronze art can be identified accurately, and thus handled appropriately with confidence on the secondary market by art market professionals. This has major benefits for the Artist’s Resale Right (ARR), which enables visual artists and estates within copyright to receive royalties from the resale of their work by galleries, auction houses and dealers. Since ARR was introduced in 2006, nearly 5,000 artists and estates have been paid more than £65 million in ARR royalties by DACS.